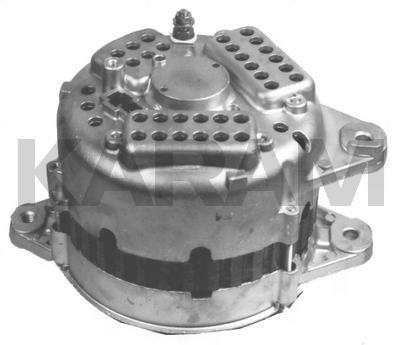 This is a Mitsubishi 75A Alternator for the 2.6L Chrysler Vehicles. This Unit Uses a Double Rectifier, and Double V-Groove Pulley. A Problem in the Cooling Fan Relay Will Cause Damage to the Alternator's Diode Trio, and Repeated Alternator Failure.